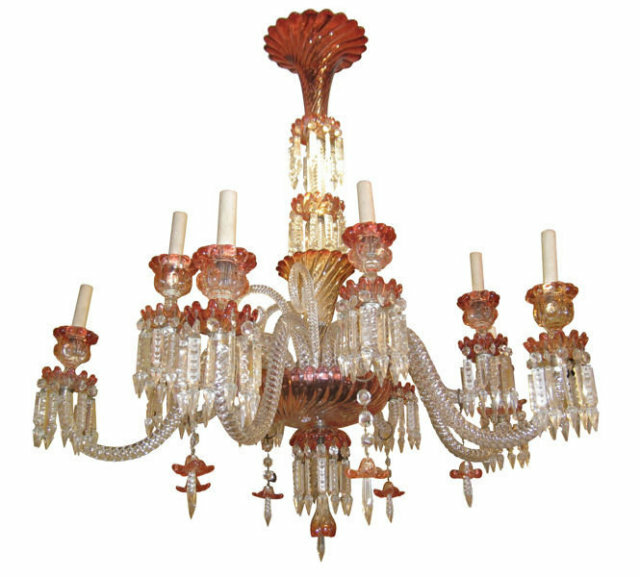 This lovely chandelier by Baccarat is crafted from blown molded glass in the warm red and amber color known as Rose Tiente. It has old wiring with cloth sheath which dates from prior to 1930 when this type of wiring went out of code in the U.S. We will be happy to rewire at our cost prior to shipment. Condition is excellent. The only visible damage is a vertical crack in the side of one candle holder. 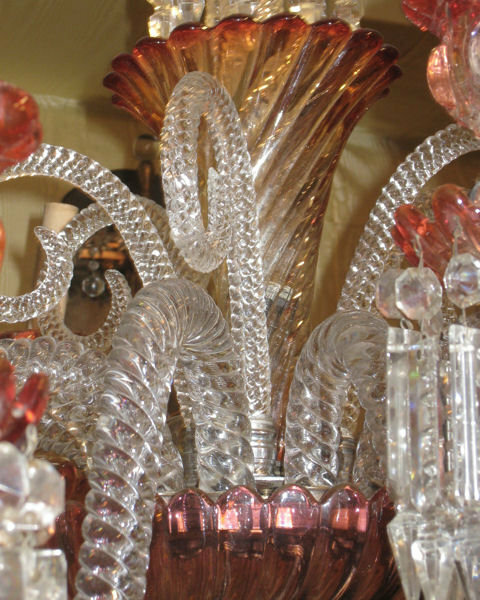 The inside of the drips pans carry the molded BACCARAT hallmark. 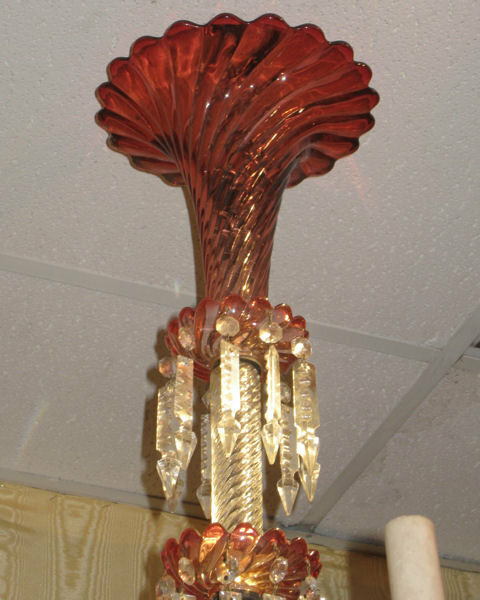 Color is consistent throughout except for one candle holder and drip pan which is slightly lighter in color compared to the rest. Additional images forwarded upon request. 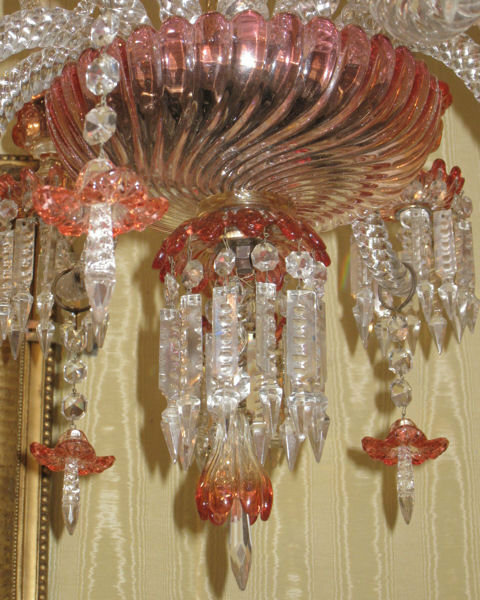 Items Similar To "Baccarat Rose Tiente Swirl Glass 11 Light Chandelier"